Previously, I reviewed Clio’s Ampoule Cushion and found it to be beautiful, but short lived. 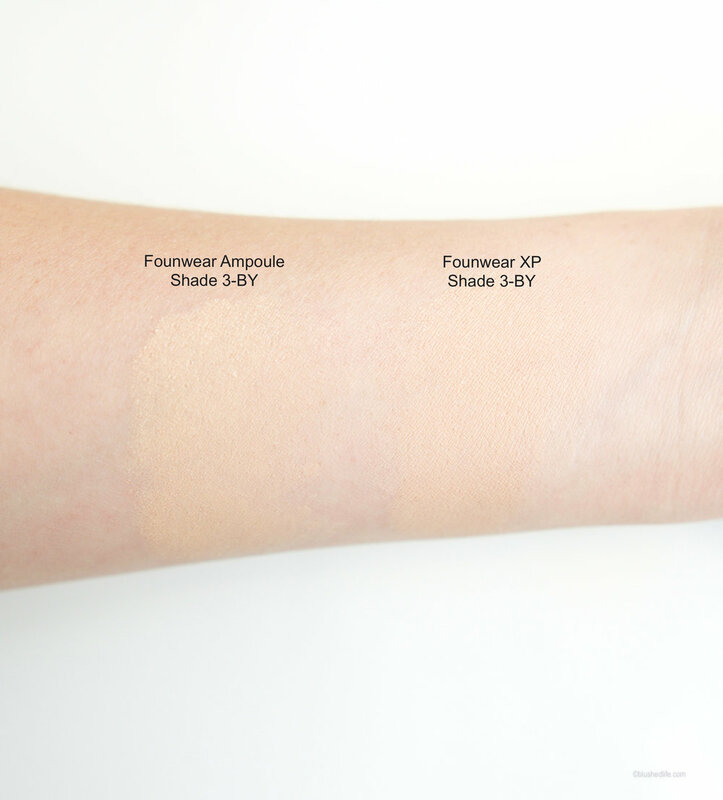 Today’s review is on the original formula- the Kill Cover Founwear Cushion XP Foundation. The sales ladies at Clio actually turned me away from this one and said it was too high coverage (says who?! ), but I wanted it anyway! Let’s see how it wore! 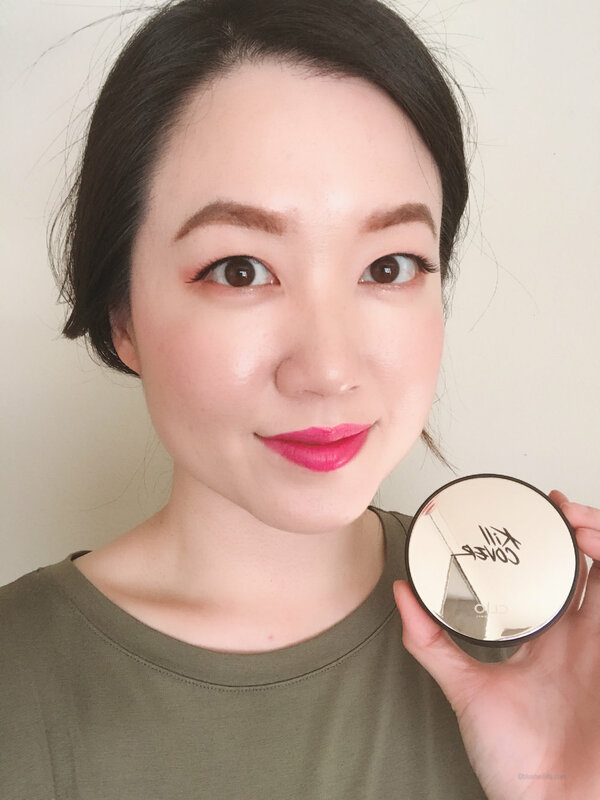 The Founwear Cushion XP is a cushion foundation with SPF 50+ PA+++ that is non-sticky, transfer resistant, has ‘extremely high coverage’, and has a velvet matte finish. It claims to last 48 hours with minimal oxidation and provide “smooth full coverage with zero clumping.” I think that translates to no caking. This cushion comes with a refill and retails for $38 usd, but I got mine via Lotte Duty Free for $18.90 usd. What a huge price difference, right? Duty free is the way to go! I am so glad this box had the English ingredients printed on, but boy was it hard to type out! This cushion isn't really touting its skin care benefits so I won’t go into detail, but you do see our favorite Centella Asiatica and a few plant extracts that have moisturizing capabilities. Out of this whole list, the one ingredient you should be aware of is Ethylhexyl Methoxycinnamate. It is one of the ingredients in sunscreen that has higher toxicity concerns. (For more info check here) Aside from that, the rest of the ingredients are fine. I got the shade 3-BY Linen, which gave me a bit of a grey/pink cast on my face. When swatched on the arm, it leans pink/orange. (I just realized after putting up the pictures that my camera did not pick up the colors I saw in person -_- you'll have to take my word for it) Oxidization is minimal so don't worry about the color changing on you. I got the same shade in the Ampoule formula and they are different. 3-BY Linen in the Ampoule formula is more yellow toned and suitable for my skin color. The two photos below were taken 20 minutes apart to see if there was any oxidation. When compared to the Ampoule formula, this one has better staying power. Again, use caution when using oil-blotting sheets since the foundation will get lifted off the skin (so yes, it transfers a bit). This XP version also concealed my pores and texture a bit more than the Ampoule version. Both formulas have the same fragrance, which is light and dissipates shortly after application. I used this cushion on both a good and bad skin day, and let me tell you this cushion needs a good skin day to look its best. On a bad skin day the foundation got really cakey after 2 hours, it only looked good at a distance, the formula clung to patches like no tomorrow, lines galore, and felt gross! My total wear time was something like 5-6 hours, which is better than the Ampoule version, but not what I was expecting when it claims to last 48 hours. Now, on a good skin day everything looked smooth and beautiful. I did get shiny, but much later in the day, and overall my makeup looked so much better at the 5 hour mark. Total wear time on a good skin day was at least 8 hours before things started looking a little rough. This cushion is definitely not a 48-hour wear foundation unless you have normal or dry skin… and don’t shower or wash your face. Regardless of skin condition, I did notice that once I started getting oily you could see the foundation starting to settle in fine lines and the pores on my nose. You wouldn’t be able to tell at a distance, but if you were 5 inches from my face you could see everything. I like this cushion for its coverage and how natural it looks, but it’s not something you can rely on when your skin is in bad condition. You need to be hydrated, moisturized, and properly prepped before putting this on. We all wear base makeup because we have something we need to conceal so the fact that we need our skin to be good before using this cushion is a bit contradictory. Nevertheless, it still has the ability to make your skin gorgeous and it wears longer than the Ampoule formula!